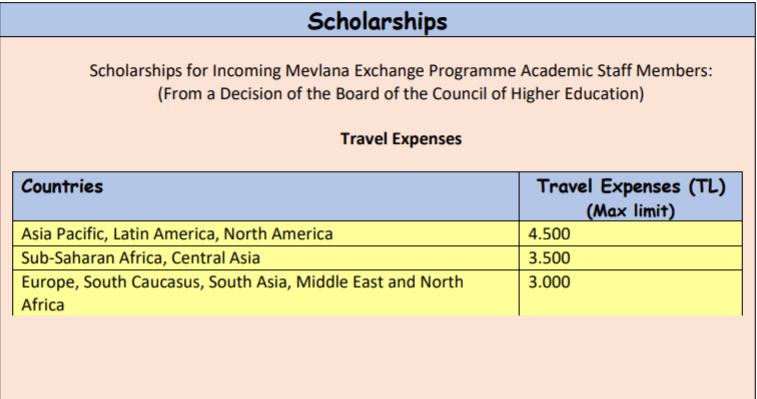 Mevlana Exchange Programme is a mobility programme (inbound and outbound) funded by The Council of Higher Education of Turkey (YOK) for students and academic staffs or Higher Education Institutions (HEI) which have signed the Mevlana Protocol. In 2015, Universitas Negeri Malang (UM) signed a Mevlana Protocol with Akdeniz University, Turkey. In 2017, UM received an invitation to collaborate in the same programme by another HEI in Turkey, Cankiri Karatekin University; hence, a Mevlana Protocol was signed with the university. Having institutionalized protocols, UM is delighted to announce the application opportunity of Mevlana Exchange Programme 2019/2020 at Akdeniz University and Cankiri Karatekin University offered to students and academic staffs (lecturers, senior lecturers, professors). Students and Academic Staff are required to register through Office of International Affairs Universitas Negeri Malang to receive the scholarships or grants. Mevlana Exchange Programme is offered for Universitas Negeri Malang Students at Associate Degree, Bachelor’s Degree, Master’s Degree or PhD Degree. They must register the programme through Office of International Affairs Universitas Negeri Malang. The students will receive 1200 TL per month as a grant. One semester will take 4 months of academic activities. Eighty percent (80%) of the total scholarship will be given to each student at the beginning of their study. The rest of the grant’s payment will be determined from the ratio of total credits by comparing between courses successfully completed by the student to the number of obligatory courses taken by the student. Note: Further information about accommodation will be explained at the campus dormitory. 1. Must be eligible to study at Associate Degree, Bachelor’s Degree, Master’s Degree or PhD Degree. 2. The minimum Grade Point Average (GPA) for Undergraduate Students is 2.5 of 4.00. 3. The minimum Grade Point Average (GPA) for Graduate Students (MA, PhD) is 3.00 of 4.00. Mevlana Exchange Programme is also offered for academic staffs of Universitas Negeri Malang. They are obligated to register the programme through Office of International Affairs Universitas Negeri Malang. All academic staffs of Universitas Negeri Malang are eligible to apply to this programme and take part in academic staff mobility projects. They will have education-training activities and will be transferred to Akdeniz University or Cankiri University Turkey. The academic activities planned should not be less than 6 hours per week. If they do not meet the total of hours (6 hours per week) of courses, they are obligated to join other academic activities (seminars, panels or conferences) as the consequences. One of the academic activities they plan should be lecturing. If there is no lecturing in their academic plan, they will not receive the Mevlana scholarship and will not be accepted. The mobility periods is two weeks and applicants only get to apply for once in one academic year. Also applicants apply to only one institution: Akdeniz University or Cankiri University, Turkey. The programme will be in the period of September 1, 2019 until August 31, 2020.